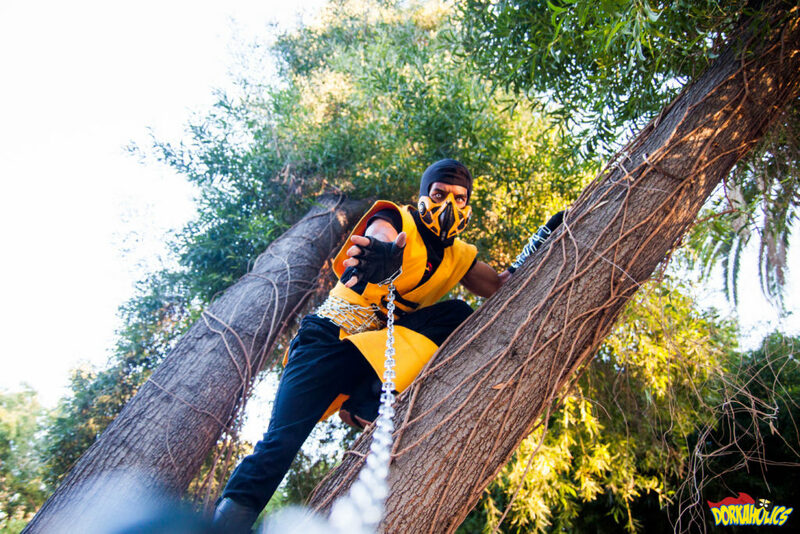 instagram.com/scorpioncosplay as Scorpion from Mortal Kombat. Photo by Neil Bui. 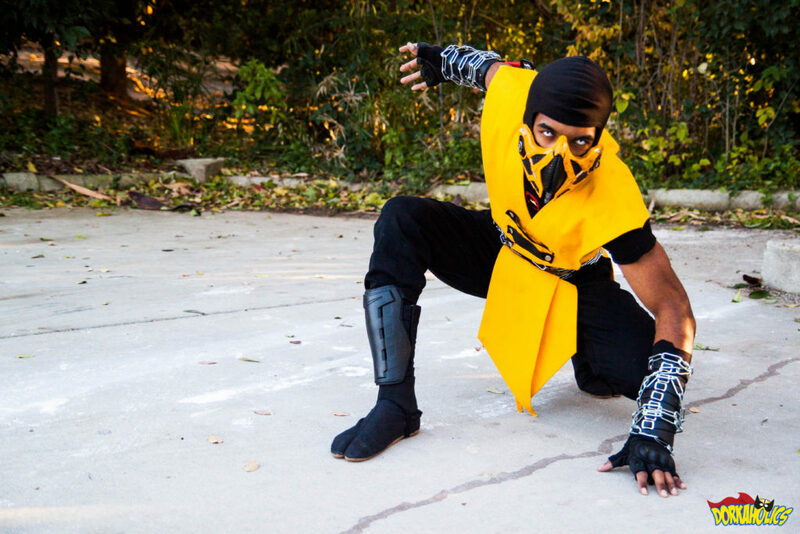 Last month, I had the pleasure and opportunity to meet with cosplayer Earl Gibson and have a photo shoot with him in his Scorpion cosplay. Why did you decide to start cosplaying and when did you start? I decided to start doing it because I always loved going all out for Halloween and never did a convention before so I decided to pick one at the end of the year and try it. 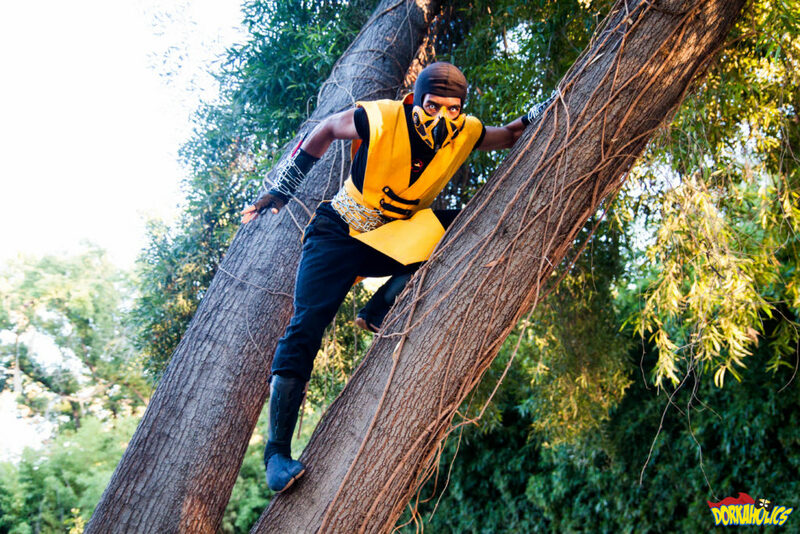 My first time was during Comikaze 2015 as Scorpion. 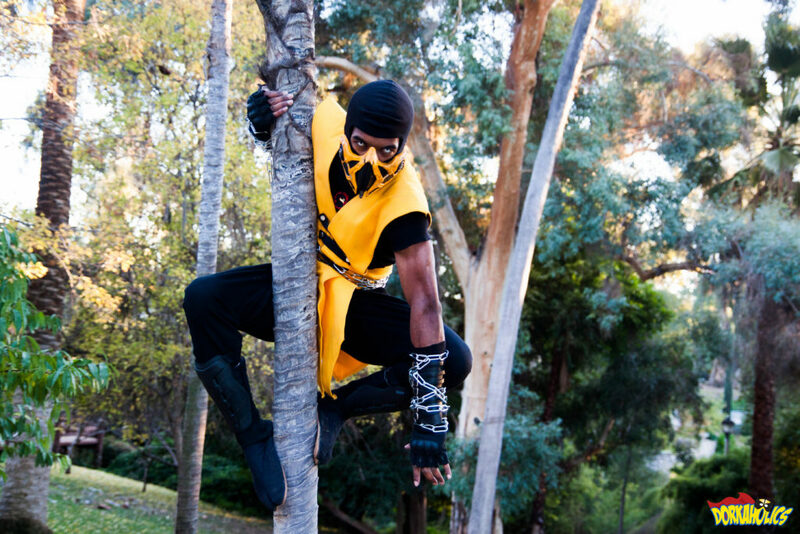 Tell us about your Scorpion cosplay. 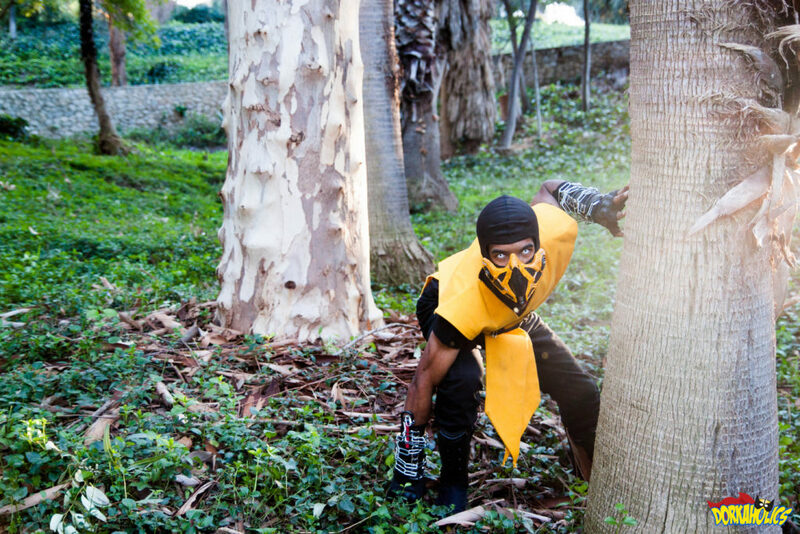 Earl Gibson instagram.com/scorpioncosplay as Scorpion from Mortal Kombat. Photo by Neil Bui. 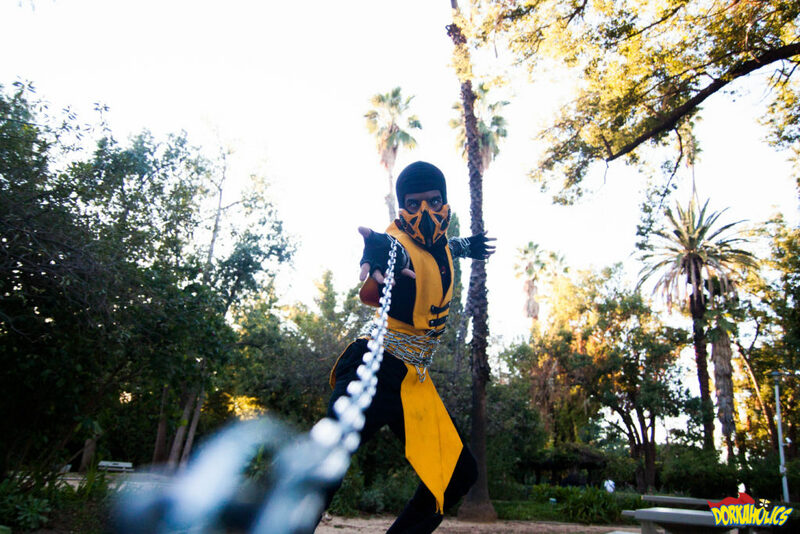 My Scorpion Cosplay is something that I have grown to cherish and immerse myself into. It has 3 different variations so far and will continue to evolve. I will probably never stop doing him. Mainly because I feel it has sparked something, not just for me but other people. Inspiring I believe as I have people who constantly come up to me telling me such things because I am of darker complexion and I still portray the character to the fullest with fear. They’ve told me that it lets them know they can be anyone they desire. And that for me makes me feel great. Especially when I hear it from kids. But being a cosplayer I’ve never had the issue of race at all, at least not yet anyway. Cosplay culture to me has no race, no color or anything of the such. Aside from that being Scorpion has caused me to push myself beyond my limits, I’m learning Ninjutsu, parkour, learned to front flip and various other things, even inner peace. For me it’s more than just a cosplay, it’s become an essential part and way of life for me! 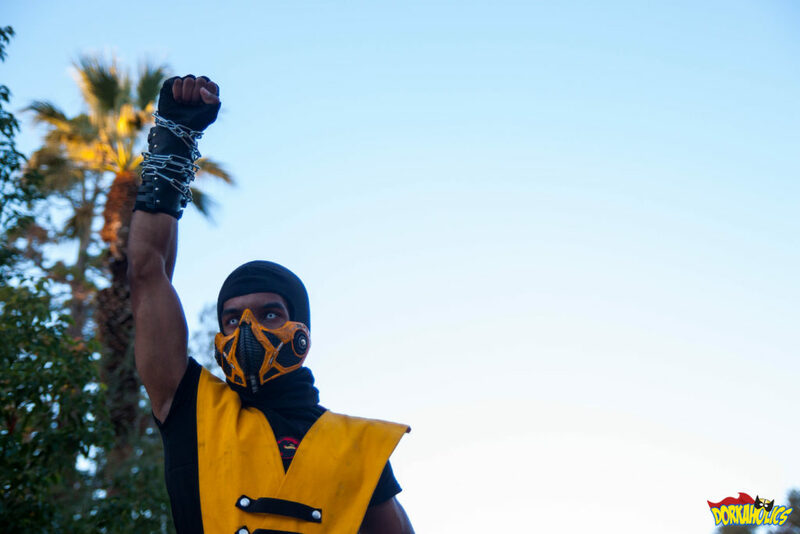 How do you approach portraying characters of different races in cosplay? I approach them with no sense of race at all. All I see is the character if that makes sense – personality, what they stand for, how they can be portrayed. To sum it up – I don’t care for race, the pigment of one’s skin changes nothing. I heard you have a Joker cosplay you call Living Nightmare. What’s the story there? Joker is my inner demon if I had to say. The Living Nightmare started at a Halloween party about 5 years ago. I’ve always been a Batman fan, but the Joker, Mr. J has always been someone I’ve kind of sorta admired. The idea behind it was to create a Joker that someone would actually encounter on the streets. This is why it is called the Living Nightmare. I came to find out that being Joker requires you to be a method actor so that I did and became the Joker. Here lied a problem as I could not get out of the character for over a year, my Joker laugh is horrifying so I’m told as it is derived from the King Mark Hamill himself, took me 3 months to do. He only comes out here and there because it’s hard for me to control myself and my thoughts with him present. I absolutely love video games with a passion. I used to read comics when I was younger but no time as I got older. And anime I love it as well because with anime it’s all about the impossible. But I would have to say that gaming would be the one I like the most! Yeah, I considered myself a nerd and geek then and still do now…to me, it has never been anything bad! It just simply meant that I was different. Something I have forever strived to be! What do your non-cosplay friends think of your cosplaying? They think it’s great and are really supportive about it, especially as that some of them actually do The Wasteland Event in Cal city every year. 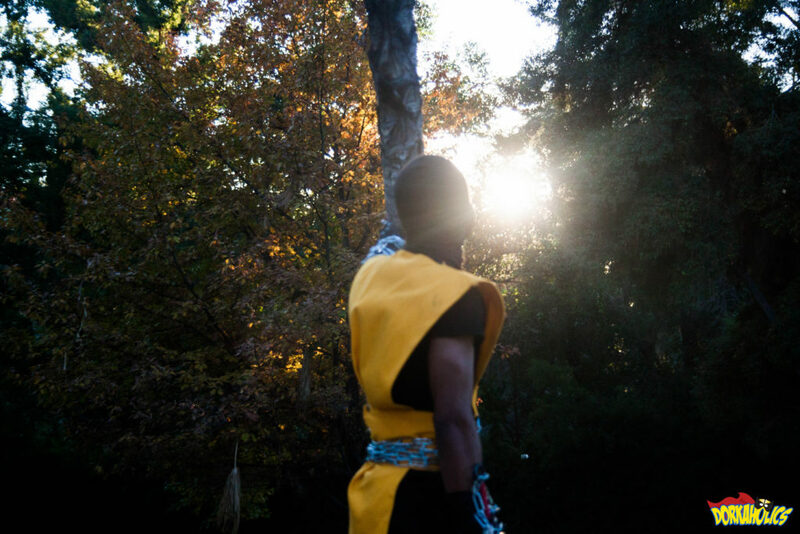 If you could pick one motivating factor that makes you keep coming back to create new costumes and cosplay, what would that be? One motivating factor, I would have to say the people, they are honestly what makes the entire thing worth it for me! And always will! A fight I had with 2 different Subzero Cosplayers in the same day, allowing the opportunity for the game to become a visual reality. Of course, it wasn’t real but fun none the less. Most of the people that I’ve met over time from the cons who I’m now friends with. One mainly being Rudy Pineda aka Reaverxiii. 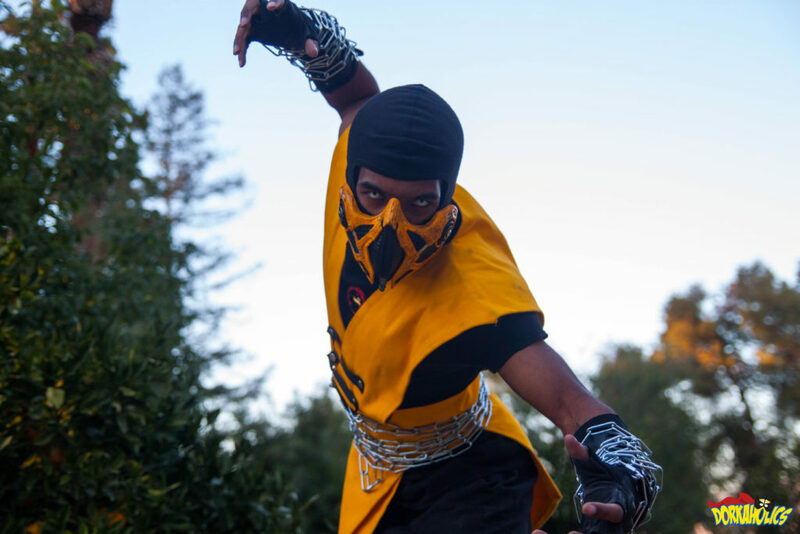 He has several cosplays but is known for being scorpion as well. His picture with the pink bed is pretty famous. I want to get to his level or higher if possible. My advice for someone just starting out doing cosplay – DON’T HOLD BACK! Do your best! Because in the end, people are going to love it no matter what. Never feel ashamed or discouraged. Do you and never stop doing you! Looking back on your costumes, is there anything that you’d do differently? I would have made the front flap on my second version of Scorpion way longer then what it was! Right now I’m working on a way to do Kazuya from Tekken, currently working on building my body and learning his fighting techniques! He’ll premiere sometime next year.